The point at 10 mm looks a bit out of place; other than that, the curve is about what you’d expect. The sensor saturates at about 0.84 V and 4.4 V, more or less, so you’re seeing the bias magnet on the low end and the main magnet on the high end. Obviously, you shouldn’t take these measurements too seriously, but they’re in the right ballpark. The pivot pin is 75 mm from the base of that line, so the subtended angle is more-or-less 16° = arctan(22/75), which is small enough that plotting the results as a function of the pedal angle doesn’t look any different. 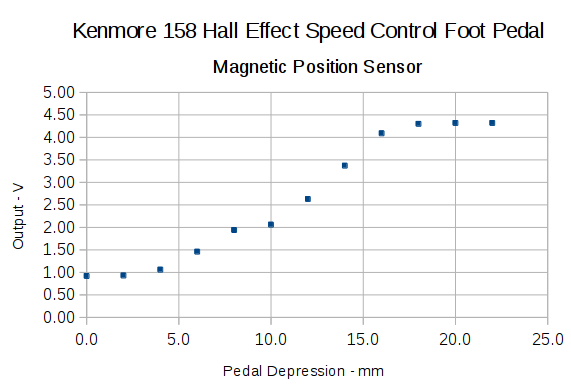 Although you could linearize that, I think the curve has the right shape for a foot pedal speed control: it starts slowly and tapers off smoothly at the high end. I think I could add a few more millimeters of magnet travel, but this will certainly suffice to get the crash test dummy running. 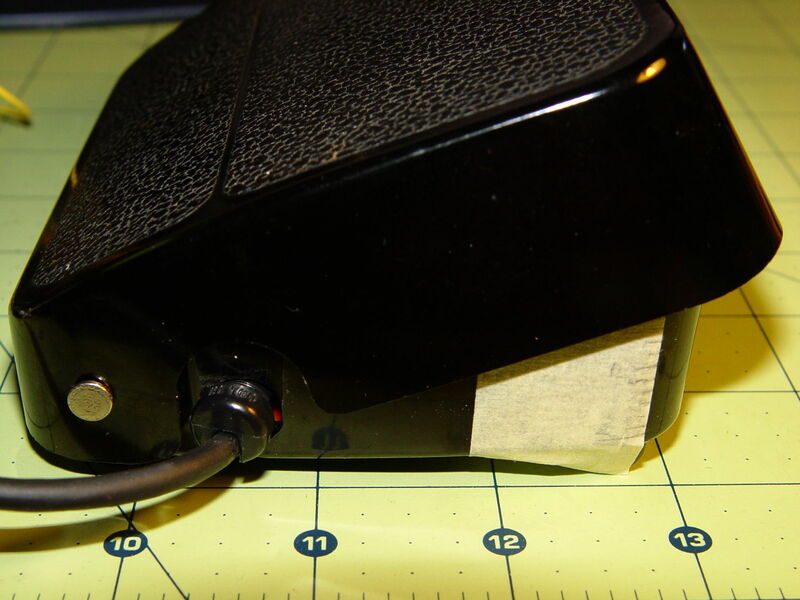 This entry was posted on 2014-07-10, 07:10 and is filed under Electronics Workbench, Machine Shop, Science. You can follow any responses to this entry through RSS 2.0. Both comments and pings are currently closed.